(Washington, DC -- 91outcomes.com) Medical research presentations at today's public meeting of the Congressionally-chartered Research Advisory Committee on Gulf War Veterans' Illnesses (RAC-GWVI) added several new characteristics to the growing body of scientific knowledge related to Gulf War Illness (GWI) and suggested potential treatments for GWI. 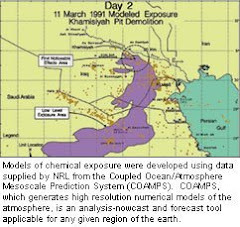 A November 2008 report by the RAC found sufficient scientific evidence to conclude that the condition is "real", something argued for years by ill Gulf War veterans. 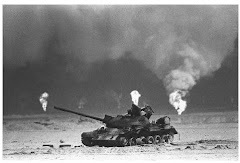 In April 2009, the Institute of Medicine (IOM), part of the National Academy of Sciences, further determined that GWI is a unique diagnostic entity and that if affects one quarter-million veterans -- or about one in every three -- of the 1991 Gulf War. Three researchers presented their recent findings at today's public RAC meeting in Washington, DC, including Dr. Mian Li, Dr. Jim Baraniuk, and Dr. Julia Golier. Dr. Mian Li, a neurologist at the Washington, DC VA Medical Center presented his initial findings from a study involving neurological examination of veterans that used more sensitive neurological testing than is most often used. His research found subtle but objective, measurable impaired autonomic nervous system abnormalities in ill Gulf War veterans. From his research, Dr. Li concluded that self-reported unexplained neurological symptoms can be confirmed on a battery of objective autonomic testing in selected Gulf War veterans. He also concluded that objective parameters on autonomic testing may be useful in guiding the treatment of selected multi-symptom illnesses in an appropriate clinical context. Dr. Li explained that he is interested in pursuing a treatment study for potential treatments for the identified autonomic nervous system abnormalities. During the course of this study, which also included use of the Compound Autonomic Severity Scales (CASS) and the Quantitative Sudomotor Axonal Reflex Test (QSART) in developing an overall autoimmune and neurological profile, he diagnosed several ill veterans (but no control group veterans) with Small Fiber Neuropathy and Large Fiber Neuropathy -- conditions for which FDA-approved treatments already exist. Several veterans in both the GWI group (n=5) and the control group (n=3) were diagnosed or Focal Neuropathies (FN), a relatively common condition for veterans that results from injury to a peripheral nerve. Dr. Julie Golier, a medical practitioner and researcher at the Bronx VA Medical Center in New York City, presented some of her most recent findings, including dysregulation of the Hypothalamus-Pituitary Gland-Adrenal Gland (HPA) axis in ill Gulf War veterans. She also noted that this unique HPA axis dysregulation "profile" does not appear to have been identified in any other known medical condition, potentially adding further evidence of unique characteristics of GWI. Dr. Golier reported that her research findings are consistent with existing animal models of the role of neurotoxicity toxicity secondary to environmental exposures (such as Pyridostigmine Bromide (PB)). She also provided an update related to three other CDMRP-funded studies related to her findings that she is conducting. These include a treatment trial of mifepristone, funded in FY06 and nearing its conclusion and should help identify whether this is a good candidate for GWI treatment. Another, funded by CDMRP in FY10, is the relationship of this HPA axis dysregulation to metabolic disorder in Gulf War veterans. Dr. Golier told the audience she just learned "an hour before" her presentation that her proposed clinical trial of intranasal insulin ill Gulf War veterans has been approved for FY11 CDMRP funding. The use of both intranasal insulin and mifepristone are thought to have treatment potential for ill Gulf War veterans with dysregulated HPA axis functioning. Dr. Golier first became interested in GWI issues after discovering unique differences in Gulf War veterans with PTSD as compared to other war veterans with PTSD. Dr. Jim Baraniuk, a practicing allergist and researcher at Georgetown University, has found evidence in his research related to exercise and findings in cerebrospinal fluid that suggest possible subgroups within the broader population of patients suffering from GWI, including one that meets diagnostic criteria for chronic fatigue syndrome (CFS). One of Dr. Baraniuk's additional finding has been that GWI study subjects were at much greater risk for headaches following lumbar puncture ("spinal tap"). Another finding suggested that ill veterans may experience more more “freeze” than “flight or flight” responses. Dr. Baraniuk, M.D. first became involved in GWI research when during the course of his clinical work at Georgetown University Medical Center he found that Gulf War Veterans diagnosed with allergic rhinitis sent to him by CFS expert Dr. Dan Klauw in actuality suffered from neurologic non-allergic rhinitis. First off, thank you Anthony for your blogging and reports from the RAC-GWVI meetings. Secondly, thank you for representing GWV's in a strong and positive fashion. I was unable to listen in to the meeting as I was moving my household both days so I am extremely grateful for your efforts to share the events online in your blog. There were several good points made during the meetings. One of which I was not aware of is that of the widespread problem of adverse reaction to multi-pharmoco-therapy in GWV's. I've been through such a laundry list of medications intended to control symptoms such as headaches, neuralgia and myoclonus that have all caused such adverse reactions that I have been taken off the meds almost immediately. This is information that I wish was being communicated to VA doctors treating GWV's. Which leads me to the other thing that I am glad was discussed and that is the idea of some sort of repository of information of treatment by VA doctors. The number one thing I've found lacking in my treatments is the appalling lack of education of my doctors concerning the findings of GWI research. A national Gulf War Center to which treating physicians could refer to seems to be a long overdue idea and one that is very much needed. Again, thanks for being on the front line for the rest of us. Your efforts are greatly appreciated! Hi, Pete -- thank you for your detailed comments and kind words. I'm glad if these efforts to provide news no one else covers is helpful to even one other person. I was struck by the multi-pharmacotheraphy issues as well. This is very new information, and it's the first time I've heard this ever stated. As for your idea on a national GWI center, I find that of great interest as well. There was a good bit of discussion about the possibility of some sort of centralized VA facility for GWI research and treatment. If there are others, I hope we'll see additional comments following. Again, thank you for your comments and feedback, it's very much appreciated. Hope you're doing as well as possible. Hi Anthony, thank you very much for a great website that keeps me and other GW vets that are sick informed. I volunteered for 3 of Dr. Baraniuk's test at Georgetown, and I'm happy to see his results listed, but a little confused by the explanation. Specifically it states that "One of Dr. Baraniuk's additional finding has been that GWI study subjects were at much greater risk for headaches following lumbar puncture ("spinal tap")." I'm pretty sure everyone is at greater risk following a tap. If you have any further info it would be appreciated, and yes I did get a headache after mine at Georgetown. Thanks again for all the great service. So glad to hear you were able to participate in *three* of his studies -- it's people like you, volunteering yet again, who are advancing the scientific envelope of knowledge about GWI's mechanisms, potential treatment targets, and potential treatments. I've participated in a three GWI-related studies, too, though not these three. Thank you,, too, for your kind words about posting this kind of information as it happens. I'm acutely aware that I'm in the room hearing all of this kind of information, and that much of the time it's just not getting communicated by VA or otherwise. So, I'll do the best I can to keep posting what I'm seeing and hearing in Washington's rarified air, and keep passing along to everyone who will listen what veterans like you are saying and experiencing.